The aftermath of the Thirty years war was a troubled time for Prague. Although the Peace of Westphalia had officially ended the Thirty Years War, the Holy Roman Empire was weakened and the power of the Habsburghs diminished. Foreign interference dogged Bohemia until the end of the 17th century and well into the 18th. In 1689, a fire, said to have been started by French agents, raged through Prague and destroyed much of it. Still, in time, Bohemia began to recover. In Prague, rebuilding and restoration, in the Baroque style, commenced. By the 18th century, merchants and businessmen, attracted by a promising economic climate, flooded into the city.. But still the shadow of war lingered. European Powers vied to gain a foothold in this strategically important territory. From 1741 to 1757 Prague was torn variously between the French, the Prussians and the Habsburghs. A climate of distrust infected its citizens. The Jewish community was accused of collaboration with the Prussians and 1745 the Empress Maria Theresa banished them from the city. By 1770 the Habsbughs had triumphed and peace had finally returned to Bohemia. 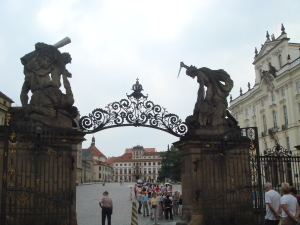 New Baroque gates were installed at Prague Castle. Depicting the battle of the Titans from classical mythology, they symbolised the triumph of the Habsburghs over their enemies. Despite a century of upheaval, the country prospered and the steady stream of immigrants continued apace. By 1771, the population numbered 80, 000. 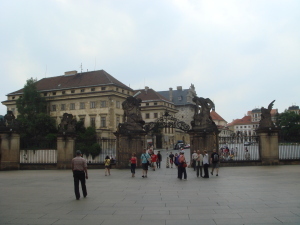 It included a wealthy business and merchant class, as well as aristocrats, who enriched the city with palaces, churches and gardens in the new style and Prague’s unique Baroque architecture became known throughout the world. In 1781, the new Emperor, Joseph II, issued the Edict of Tolerance, granting political and religious rights to minorities. The population rose again as many of the descendants of those who had fled or been banished, during the past stormy century, returned. In 1784 Joseph II united the four independent urban areas of Old Town, Malá Strana, Hradčany and New Town into the great city of Prague. Most importantly, in the same year, the National revival (národní obrození) a Czech Nationalist Movement began. After centuries in the shadow, Czech language, culture and national identity were revived and Czech literature blossomed. 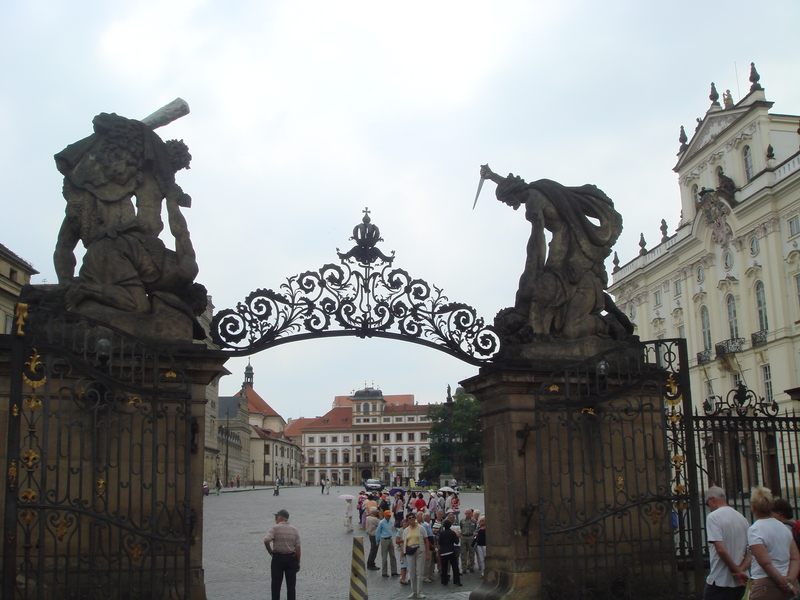 Explore Baroque Prague at the castle, around the old and new towns and in the Jewish Quarter. After Vladislav Jagellan’s death, the seat of power passed into the hands of the great Habsburgh Dynasty which was to see Prague through the most celebrated era of its history. When Ferdinand Habsburgh, the brother-in-law of Vladislav Jagellon, took the Bohemian throne, he moved the seat of power to Austria, where he reigned as Emperor. Prague, once the leading light of the Holy Roman Empire, became a mere outpost. Still, Ferdinand spent considerable time in Prague and invested a great deal in the city. He brought the Renaissance way of life to the court and made important additions to the Castle grounds. In 1534 he converted the vineyards which covered the surrounding hillsides into a beautiful Italianate garden. Designed by Giovanni Spatia, it was filled with Mediterranean plants and trees such as oranges, lemons and the figs which still grow there today. Europe’s first tulips, brought from Turkey in 1554, were grown in the Royal Palace Garden. In 1563, Ferdinand completed the Royal Summer Residence for his wife Ann Jagellon. The unique Renaissance building, with its Gothic roof, was designed by Paolo della Stella and Boniface Wohlmut. 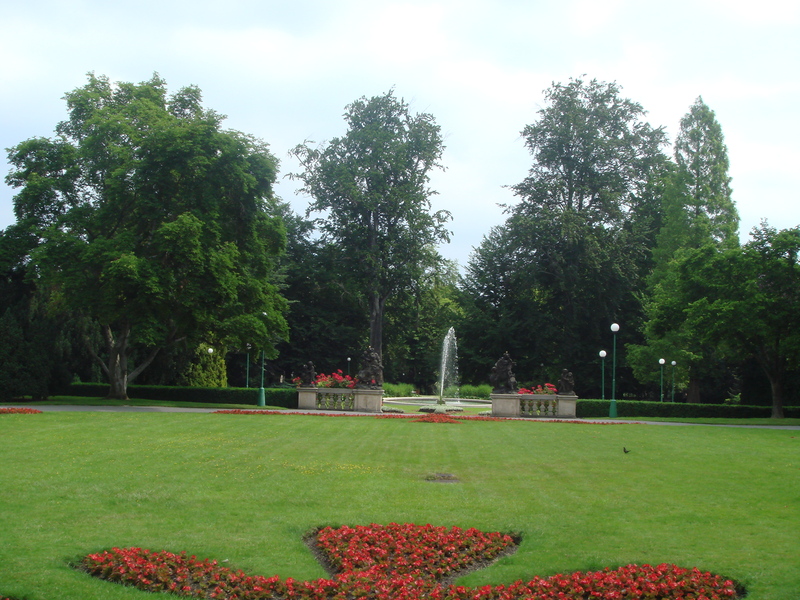 The spectacular Singing Fountain in front of the residence was built in 1568. Ferdinand also established the Lion Court, to house his collection of exotic animals. Ferdinand’s successor, his son Maximillian, also ruled Prague from Vienna. However, he continued Ferdinand’s work at Prague Palace. In 1569 the Royal Ball Game Hall, designed by Bonifac Wohlmart as a venue for Royal games and competitions was completed. Maxmillian also added plants to the Royal Garden, like the narcissi and bluebells which still grow there today. In 1575, Rudolph II, son of Maximillian, was crowned Emperor. Rudolph was well-connected. Not only was he related to the Jagellon Dynasty, the Luxembourg Dynasty and the Premyslid Dynasty but also, through his great grandmother, “Mad Joan”, to the Spanish throne. In 1583 Rudolph moved the seat of the Empire back to Prague. He took up residence in Prague Castle which he reconstructed in the Renaissance style. The Imperial Court pionneered European Mannerism and the city became a centre of Renaissance culture, Politics, Science and Alchemy (earning it the name “magic Prague”). Once again Prague had become the centre of the Holy Roman Empire. Furthermore it had entered another Golden Age. Rudolph was an intellectual and a lover of the arts. He established workshops, studios and an observatory and invited artists and scientists from all over the world to work in them. Scholars, like the Jehuda Low ben Bezale, came to teach and research in Prague. Along with the learned came a strange collection of magicians and other bizarre figures, like the spiritualist Edward Kelley. In1604 Rudolph founded a pheasantry in the Royal Garden. In Ferdinand II’s Lion Court he kept his beloved lion Mohamed, a gift from the Sultan of Turkey. The Emperor and the King of the Beasts had a close, almost human or perhaps even spiritual, rapport. Rudolph immortalised Mohamed in the many lion sculptures around the city of Prague, the most famous of which stands outside the Rudolfinum concert hall. Although a devout Catholic, Rudolph was a liberal and fair-minded man. In 1609 his “Imperial Charter of the Emperor” legalised religious freedoms hitherto unheard of in Europe. This brought an influx German Lutherans and Calvinists as well as Jews, seeking refuge from religious intolerance elsewhere. Rudolph II died in 1612, in the Royal Garden Observatory, within days of his beloved Mohammed. The death of Rudolph II marked the end of the most celebrated period in Prague’s history. After Rudoph’s death, his successor, his brother Matthias, moved the Habsburgh seat back to Vienna. Another stormy period followed. When the Bohemian Diet nominated Ferdinand of Styria as successor to Matthias, tension arose between the Bohemian Protestants and the Catholic Habsburgs. On May 23, 1618, in the incident now known as the “Third Defenestration of Prague” Catholic Governors were thrown from the windows of Prague Castle. They were replaced by Protestants and the Calvinist Frederick V of Platz took the throne. This precipitated the Thirty Years War between Catholics and Protestants which swept across Europe. At the Battle of White Hill (Bila Hora) in 1620 Catholic Spain, Poland and Bavaria along with Lutheran Saxony (which opposed the Calvinists) fought on Ferdinand’s side. The Protestant Army, led by J.M.Thurn was backed by Moravia, Lusatia and Silesia. The Catholics won, the Emperor Ferdinand II became King of Bohemia and the Czech lands became Catholic again. Protestant citizens were ordered to convert or emigrate. Thousands chose the latter option. When, in 1648, the Peace of Westphalia finally ended the Thirty Years war, Ferdinand moved the Royal Seat back to Vienna and Prague became a provincial town. The economy collapsed, people left and the population dropped from 60,000 to 20,000. The future of the golden city seemed bleak. With the death of Charles IV in 1378 and the accession of his son Wenceslas IV, Prague’s golden age ended. Years of religious dissent, civil war and unstable sovereignty followed, where the great and glorious city of Prague foundered. Religious dissent, between the Catholic establishment and the followers of the protestant reformer Jan Hus, escalated until, in 1419, the Hussites threw the City Councillors from a window in Prague Castle. Sixteen days later, Wenceslas IV died. The establishment’s outrage at the “Defenestration”, (as the practice of throwing unpopular leaders out of windows became rather pompously known) along with the Hussites refusal to accept Wenceslas’ half-brother Sigismund as King, resulted in war. In 1420 Sigismund’s army was defeated at the Battle of Vitkov Mountain. Still the war raged on. Bohemia was torn apart, both literally and metaphorically. Buildings and national treasures were destroyed and Prague Castle fell into disrepair. Finally, in1434, the Hussites were defeated at the battle of Lipany and Sigismund became King. Sigismund’s reign was short lived. He died in 1437, the last male of the Luxembourg Dynasty. There followed several more brief reigns. Sigismund’s son-in-law, Albert II of Austria ruled for two years. Sigismund’s grandson, Ladislaw Posthumous (so named because he was born after his father’s death) was next to the throne. When he died, aged 17, his advisor George of Podebrady was unanimously chosen as King by the Hussites and the Catholics. However, this displeased the Pope who mounted a Crusade, led by Matthius Corvinus of Hungary. After the Crusade, Bohemia became a Dual Monarchy, with Matthius of Hungary as Emperor and George of Podebrady as King of Bohemia. Vladislav Jagellon succeeded George of Prodebody. Son of the Polish King Casimir IV and the sister of Lasilaw Posthumous, he was descended from both the Luxembourg and the Premyslid Dynasties. When he died in 1526, so did the Jagellon line and this sorry era came to a close. Take a stroll around Prague Castle and look down at the River Vlata. Imagine the City Councillors’ last minutes!